I still almost can’t believe it, but Verizon is the first US carrier to push the Android 5.0 “Lollipop” update to the Samsung Galaxy S5. The update started rolling out to all this morning, so naturally, we grabbed it and took it for a spin to see what Samsung has done with TouchWiz, Material Design, and Lollipop in a single package. We have seen previews of Lollipop running on international variants, but this is the first we are seeing it here in the States and in our own hands. The first thing you will notice is that this is still Samsung’s TouchWiz. In fact, you probably wouldn’t realize that this is Lollipop outside of the notifications that are now on the lock screen and the subtle Material Design-esque changes or themes added to some of the stock apps. Other than that, the home screen, icons, app drawer, keyboard, quick toggles (for the most part), and camera all look and act the same. Sure, Samsung may have lightened things up a bit here and there with the overall skin, but it’s still TouchWiz through and through. 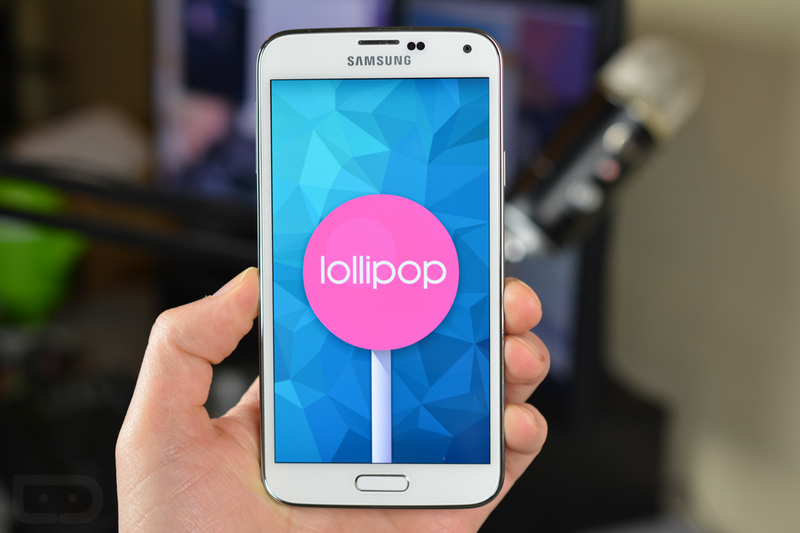 To see Lollipop on the Galaxy S5 in action, check out our video below. To get all of the details on the update, head over to this post. Note: In the video I mention that Smart Lock is no where to be found, but it is in fact included, it’s just in the most inconvenient location that I can possibly think of. Tutorial on how to activate it tomorrow.